The most important meal of the day is breakfast; a line we hear time and again, yet so many of us miss it due to our hectic lifestyles and the time constraints of daily life. Well, what if you could make a healthy breakfast in less than 6 minutes, to give yourself the best possible start? I’m in. Over the next couple of weeks I will be sharing ‘Seven Great Days’ of breakfast with you as part of Arla Choose Goodness campaign. 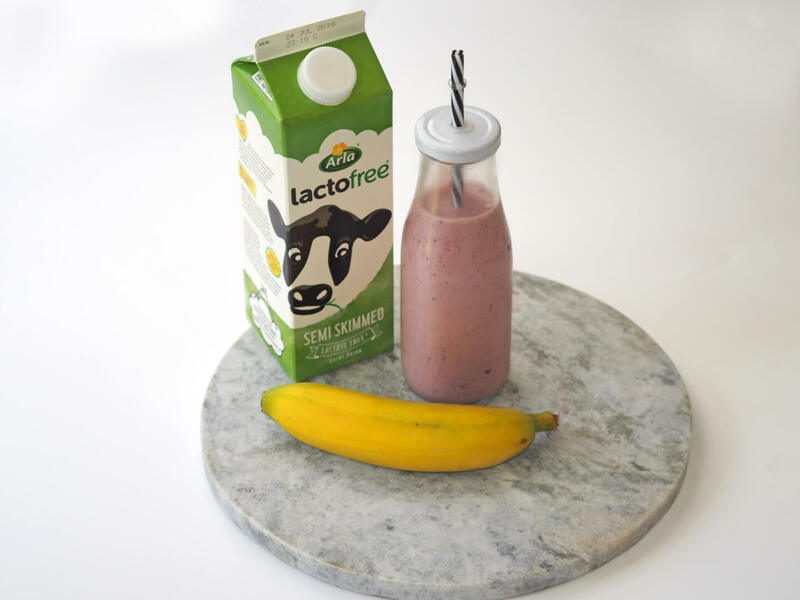 As someone who has been recently diagnosed with IBS, I’ve been reducing the amount of lactose I consume, and have noticed Arla Lactofree range make a massive improvement, so many of my recipes will offer you lactose free choices, I love that this is real milk, it’s not a substitute, and I honestly cannot tell the difference. It’ available in all the major supermarkets, so you don’t even have to go out of your way to find it. Going Lactofree with my milk has made a huge improvement in my IBS symptoms, have you tried it? This recipe couldn’t be simpler, all you need is a blender. Measure out all of your ingredients, throw them in the blender & give it a good whizz up. 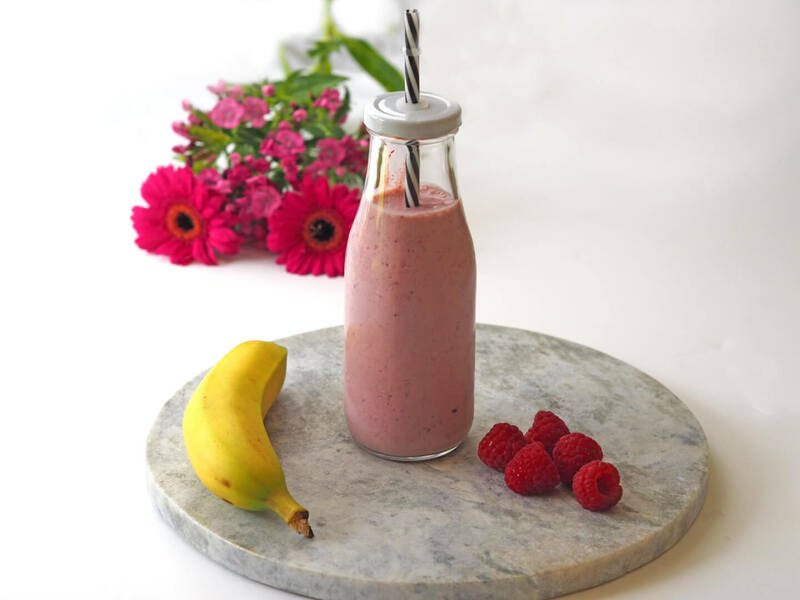 This smoothie is pretty thick, so you can always add more milk to your liking. You’re getting 2 of your five a day along with dairy and it will help keep you full until lunch. The frozen berries are a great option as you just use them as you need them, and don’t have to worry about fresh fruit going bad. Serve it up in your favourite glass and enjoy. Make sure you check back in later this week for my next recipe for the Arla Choose Goodness campaign & let me know if you try this one. I’m interested to know, do you make time for breakfast? Definitely! It’s so easy to enjoy them on the go and they don’t take along time to make.